Large fires can lift a lot of air, creating their own weather, subjecting pilots to severe turbulence, up or downdrafts, funnel clouds, or fire-induced thunderstorms. Whether in Idaho, Arizona, Montana, Oregon, or New Mexico—it seems at least one state gets hit particularly hard by fires each year. And when they start, TFRs soon pop up as well. Summer vacation season is upon us, and while some pilots might long to fly their plane to visit a new city, for others there’s nothing like flying over and into America’s beautiful forests. The thrill of pulling a struggling trout from a cold mountain stream or a hike among scented pines brings respite from your everyday worries. Just remember; when flying over forested areas, to stay safe and legal you need to be aware of forest fires and their associated TFRs. 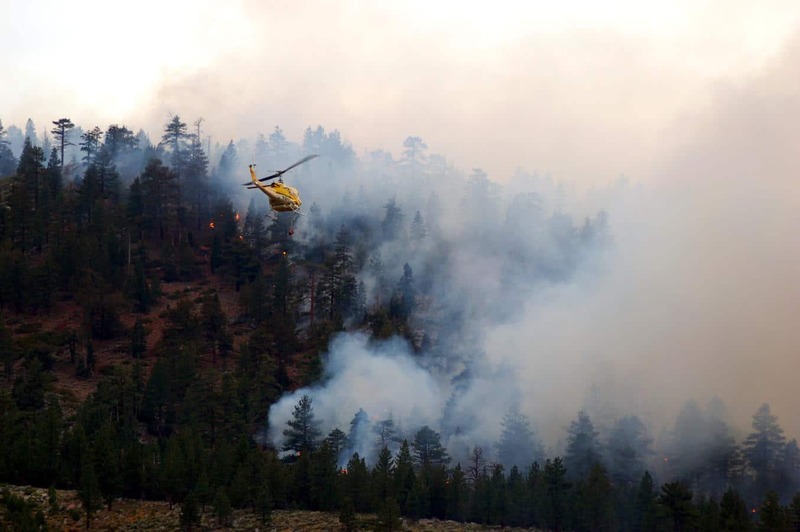 Whether due to climate change, drought, bark beetles, logging or lack thereof, more people in the forests, or other factors, fire season in the West is beginning earlier and consuming more acreage than in decades past. Federal, state and local firefighting budgets, as well as firefighters and equipment, are being strained to the breaking point. At the National Interagency Coordination Center in Boise, Idaho, the nerve center for fire-control nationwide, tensions are especially high this year. Alaska is on fire. As of June 22, the state is at Planning Level 5, the highest possible. 64 new fires were sparked in 24 hours. Twelve large fires burn out of control and 2,000 firefighters are on the ground. Already fire conditions are a month ahead of normal. Randy Eardley, a BLM division chief at the National Interagency Coordination Center, says all fires, small, medium, and large, are occurring more often. Large Idaho fires that were once considered 60-year fires now happen about every five years. From 1960 to 2000, an average of 4 million acres of forest burned nationwide each year. Since 2000, the annual total has exceeded 8 million acres for several years. Before you depart, telephone a briefer, but be aware that briefers may not have latest info. Lori MacNichol served as an air attack forest pilot for nine years, until retiring from that position to devote her full attention to her business, McCall Mountain/Canyon Flying Seminars, LLC, www.MountainCanyonflying.com. She recommends you ask for TFRs along your route and also get the briefer’s name and location. She says some pilots received no or inaccurate TFR information even after requesting it and this will help you defend yourself if you bust a TFR. Additionally, call the local ranger station closest to your destination, and perhaps a few along your route. If you are meeting friends at your destination and they have already arrived, try calling them for a weather update. Maybe you know someone who lives near your destination; call them too. MacNichol points out that local FBOs are a great resource, especially in McCall, Idaho, because they are a smoke-jumper base. Fortunately, the internet has multiple ways to check for TFRs. A quick look at www.Skyvector.com will show any TFRs along your route as red shaded areas overlaid onto a VFR chart. The FAA has TFRs listed at //tfr.faa.gov/tfr2/list.html. Once in the air, if you have a GPS with moving map, multiple programs and apps can show TFRs graphically on your GPS or iPad. 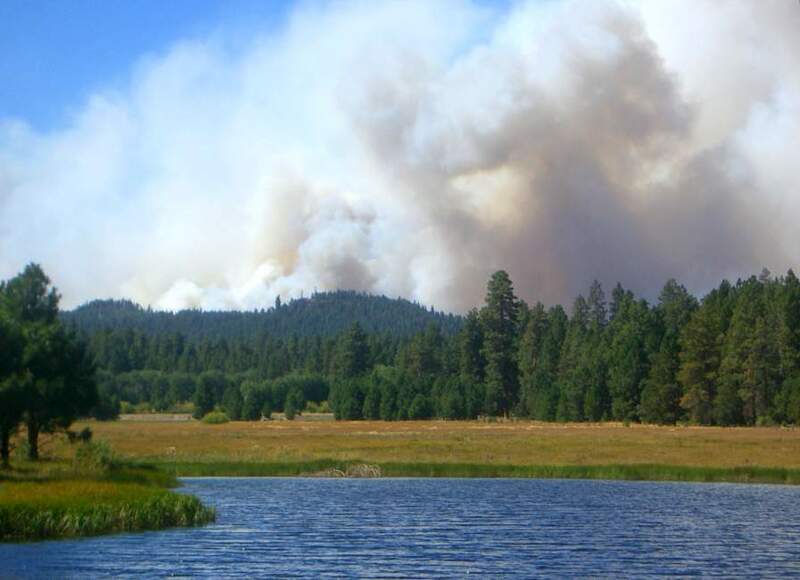 The TFRs are established because there may be a dozen or more helicopters or airplanes whizzing back and forth, dropping water or retardant, as well as surveying the fire’s progress, so try to stay at least a few miles outside any TFR borders for extra safety. Large fires can lift a lot of air, creating their own weather, subjecting pilots to severe turbulence, up or downdrafts, funnel clouds or fire-induced thunderstorms. Pilots violating TFRs may receive a Letter of Investigation. If the FAA finds cause for action, it sends a Notice of Proposed Action, giving the opportunity for an “informal conference.” At that time, the alleged violator can bring up mitigating circumstances and this may lessen or dismiss the charge. On the other hand, if the pilot is a repeat offender or there was a clear opportunity to avoid busting the TFR, the FAA may increase the penalty. Penalties generally range from a 30 to a 90-day suspension. The pilot may appeal the FAA’s ruling to the NTSB. In our northern mountainous areas, be prepared for shorter-than-you-might-expect flying seasons. It may be mere weeks between the time the snow melts off a higher elevation backcountry airstrip like Fish Lake, Idaho, and the onset of the fire season, which can limit visibility or place strips off-limits due to TFRs or closure. Accessible areas may be more crowded with other aircraft. 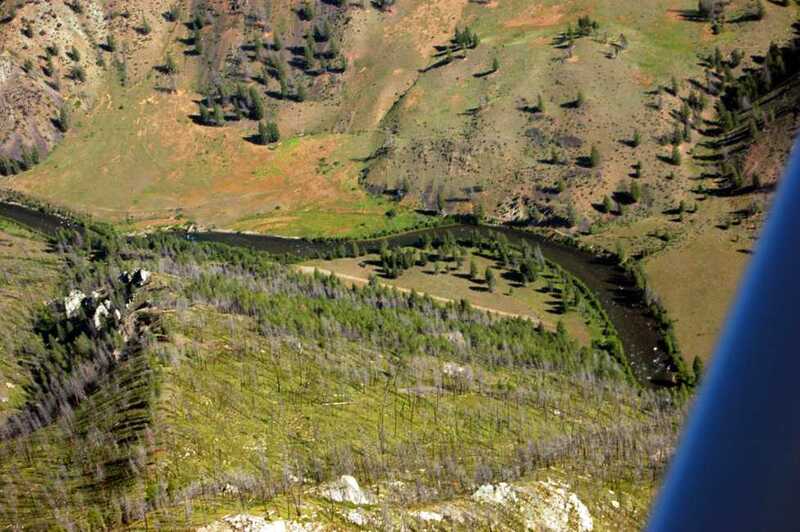 Be especially vigilant about announcing your position in the backcountry; use 122.9 MHz. In canyons, stay to the right if safety permits, and turn around if smoke ahead becomes heavy. Remember that if you turn your plane toward the sun when flying through smoke, the glare may instantly reduce visibility to IFR conditions. MacNichol adds, “If you find yourself in this situation, if possible, turn around immediately with a shallow bank. The first uneasiness you feel is your immediate sign to turn around—don’t wait a second more. By staying to the side and not in the middle you will have room to turn around. If you can plan ahead we recommend following the rivers, what we call ‘Drainage Navigation’”. Keeping the water in sight will not only keep you within the canyon but if you follow the river downstream, you are guaranteed not to find yourself in suddenly climbing terrain. 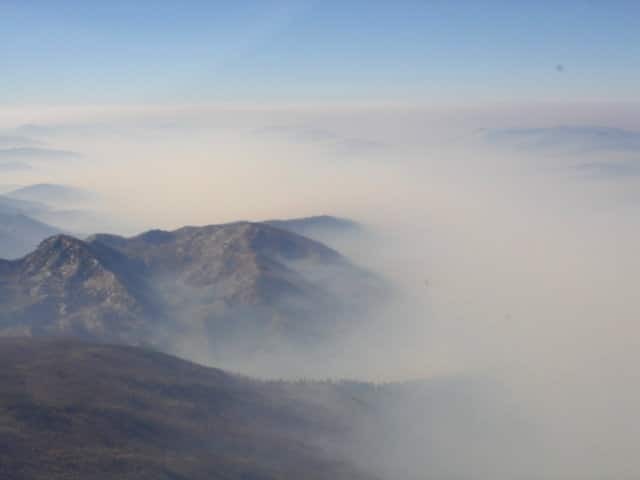 When flying in the mountains, remember that smoke tends to sink into the canyons. You could wind up in a similar trap to landing in ground fog, where you suddenly lose visibility as you descend. Not a good situation anywhere, and especially not when walls of granite are rising above you! Once en route, if you see a new forest fire, you can mark your position and report it to ATC or Flightwatch. On the ground, you can do your part to avoid creating a new TFR by being especially careful with campfires. You don’t need a huge bonfire. It only takes one spark to start a forest fire, so be sure to thoroughly soak ashes and coals until dead. Observe all laws. If a fire isn’t allowed where you’re camping, save it for another time and place. Before you depart, try calling a briefer for a TFR update, but if you can’t, call Flightwatch on your radio after you depart, fire up the links on your GPS if you have them, and keep your eyes peeled for smoke. Ready to take that summer or fall trip? Get out there while you can and take lots of pictures. If you’ve got access to a plane and good weather, take advantage of the opportunity to enjoy America’s natural beauty. If a backcountry airstrip seems intimidating, visit Yellowstone, where you can land on Montana’s huge West Yellowstone runway. Or visit Glacier National Park—the glaciers may be gone sooner than you think. Have children or know some young people? Bring them along, and introduce them to both aviation and nature. People only protect what they love, and we need our next generation to care about preserving wild places.